If you didn’t catch the Big Game this past Sunday, you might have missed Honda’s all-new 2017 Ridgeline commercial. But that’s okay, you can watch it here! Check out the video to see what there is to love about this new truck from Honda. The Honda Ridgeline will be back for its second generation as a 2017 model later this year. When it was released in 2005, the Honda Ridgeline was quite intriguing. With its unibody construction, this mid-size sport utility truck helped pave the way for an entirely new category of vehicles. The unibody foundation gave the Ridgeline the performance of an SUV, but the truck body allowed for the greater utility of a pickup. Style-wise, the Honda Ridgeline was rugged and boxy, with a short open truck bed in the back. In typical Honda fashion, the Ridgeline even offered innovative features, including a dual-action tailgate and the industry’s first In-Bed Trunk®. The Honda Ridgeline was powered by a V6 engine with a 22-gallon fuel tank and came with all-wheel drive standard. It is as much of a truck as it is an SUV with comfortable seating for five. Completely re-imagined from the ground up, the 2017 Honda Ridgeline seeks to impress. 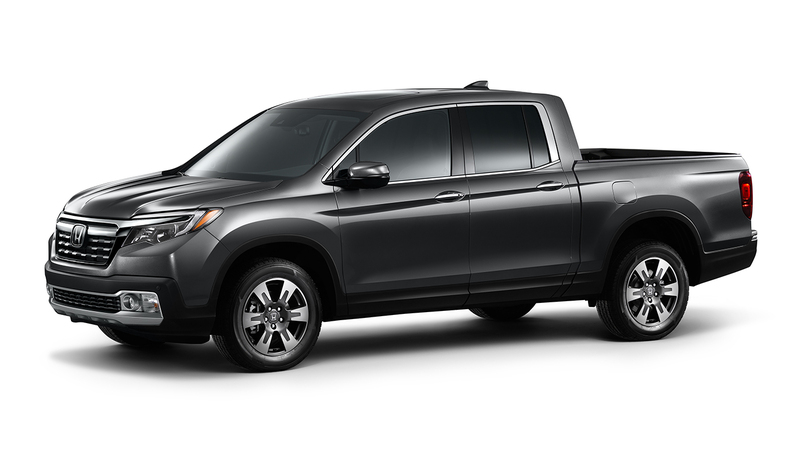 It carries the same innovative features that made the first-generation Honda Ridgeline unique. 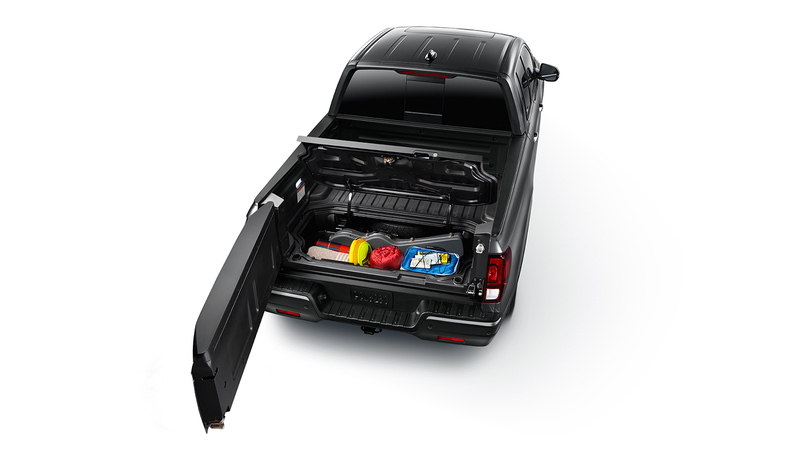 The tailgate is dual-action and the in-bed trunk is back, but now there’s even more. The Big Game ad puts an emphasis on the all-new truck-bed audio system that will turn any tailgate gathering into a party. You can now play any of your music through the truck bed, turning hard work into something fun. Speaking of hard work, transporting items inside the cabin is easier than ever thanks to the versatile rear seat bench that folds up and out of the way so you can fit larger items out of plain sight. The 2017 Honda Ridgeline will likely share the 3.5L V6 engine with the Honda Pilot, and will be available in FWD and AWD. Look forward to the all-new Honda Ridgeline hitting dealerships in Spring 2016. Stay up-to-date and get more information from Airport Marina Honda today! Visit our dealership in Los Angeles, CA to see our current new vehicle inventory, including the redesigned 2016 Honda Civic, or contact us to schedule a test drive now!